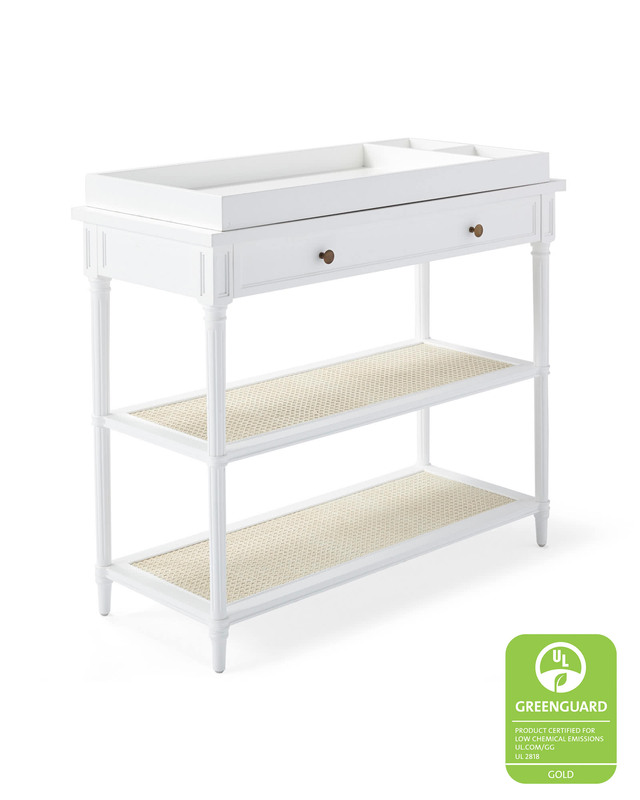 Harbour Cane Changing TableHarbour Cane Changing Table, alt="Harbour Cane Changing Table, "
Print This coordinates perfectly with our Harbour Cane Crib, but it’s such a versatile neutral that it works well with other cribs, too. To create the caning, artisans meticulously weave natural rattan by hand – and the texture is simply gorgeous. 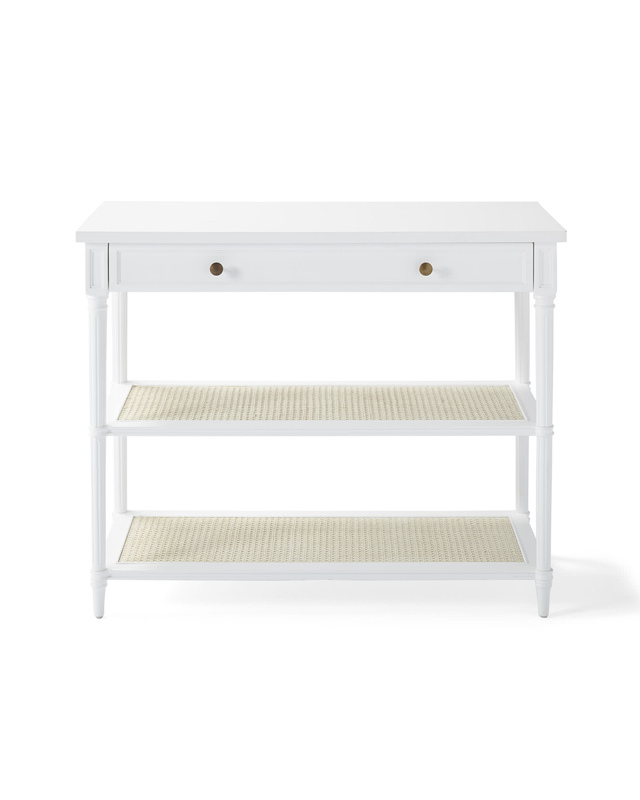 Design perk: When your baby grows, simply remove the changing tray and this becomes a console that you can layer into any room. 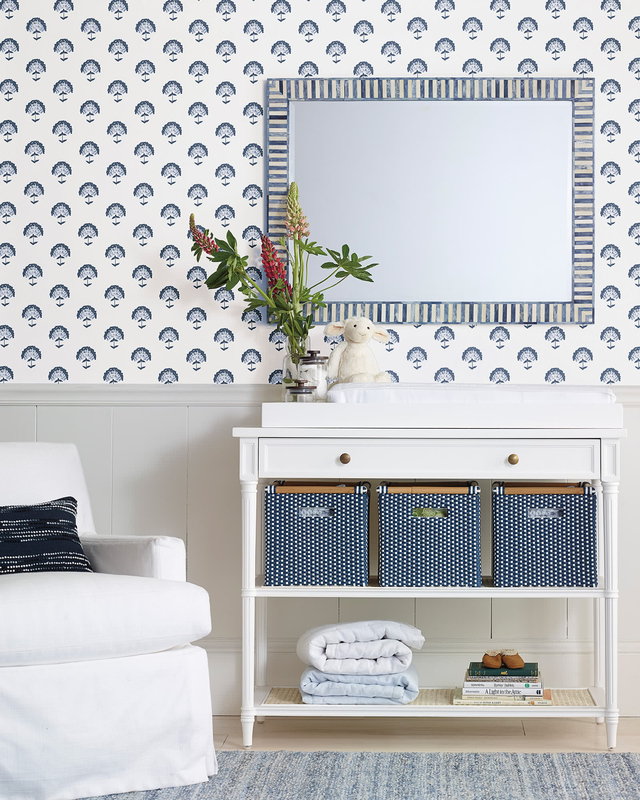 Delicate proportions and fluted legs elevate the look. Crafted of solid poplar wood and engineered wood. Handwoven caning on shelf is made of sustainable rattan. Removable changing tray sold separately. 43.5”W x 19”D x 36”H overall. Drawer: 36.5”W x 13”D x 3”H. Max weight capacity: 101 lbs.